Documents have always been a significant part in our everyday jobs and activities, especially in businesses. 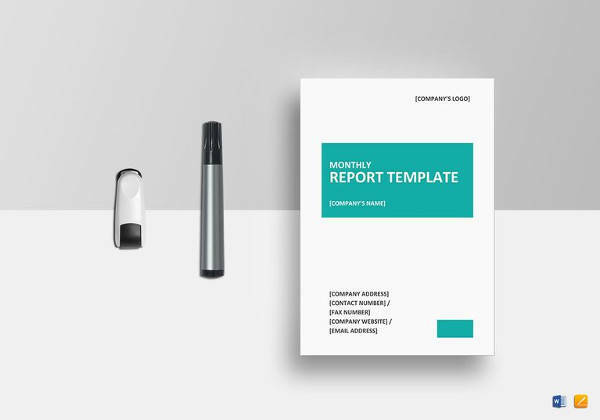 Making reports is not only useful but also necessary in running a business. Construction projects are no different. 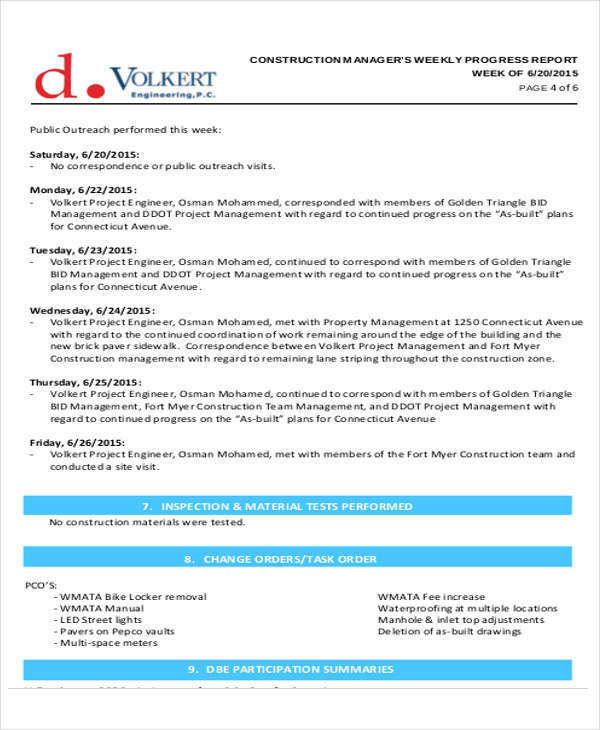 So what is a construction report? 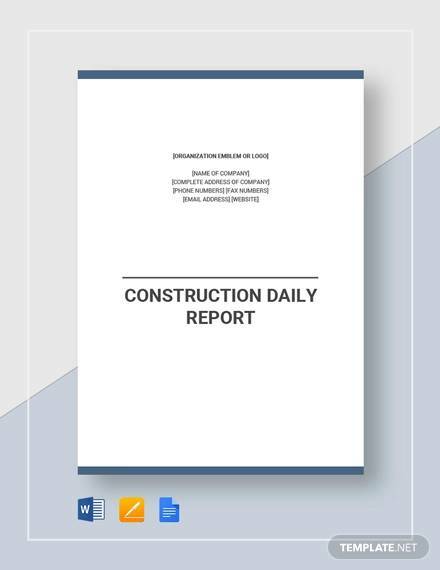 A construction report is a summary of all the daily activities in a construction project. 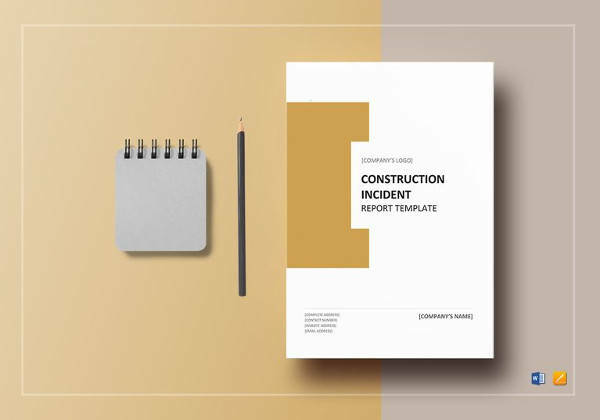 A construction report is essential to document the number of workers or employees, the equipment used, the time construction work started or ended, and the overall construction progress on a daily basis. 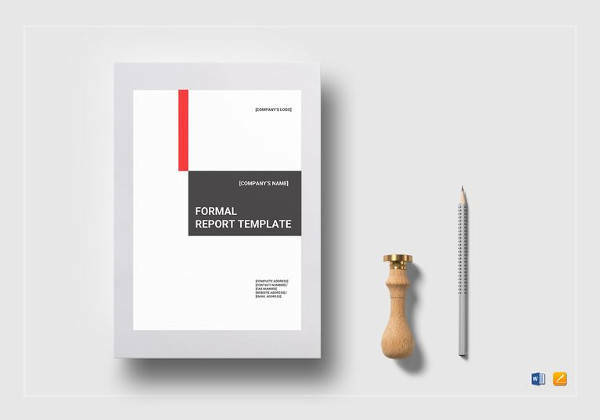 If you are looking for sample construction reports, our Sample Reports will be very useful to you. 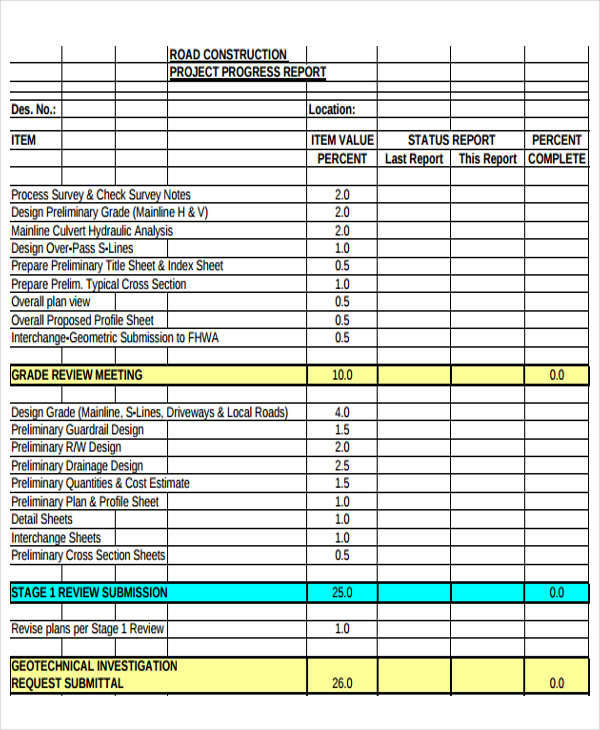 What Is in a Construction Report? 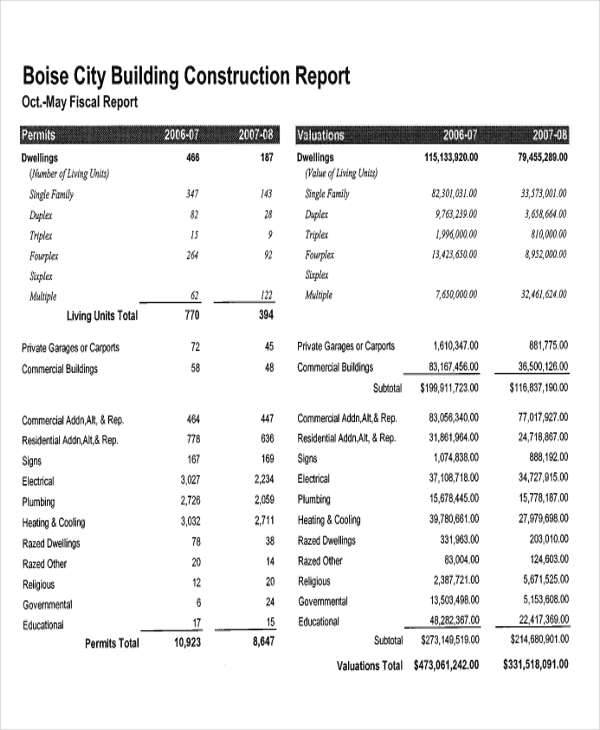 Here are the number of things a construction report should contain. 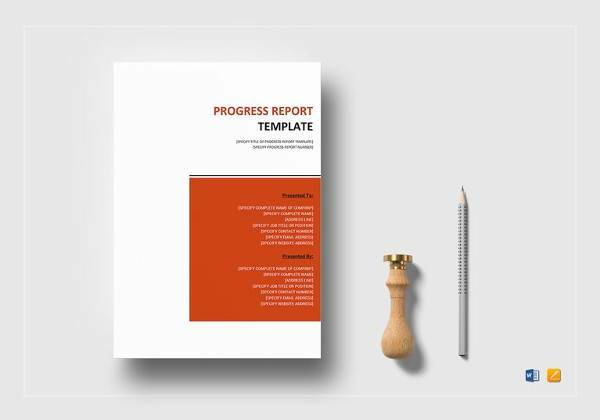 For weekly monitoring, our Weekly Progress Reports is what you need. 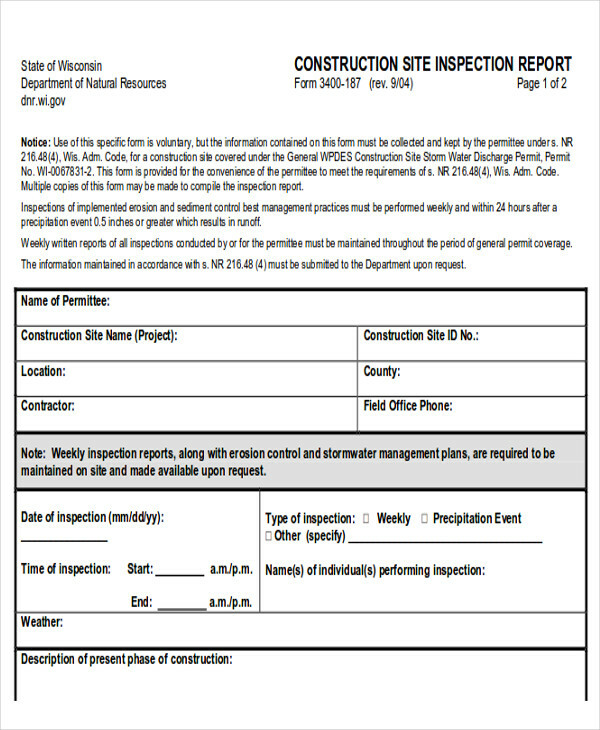 The first important information a construction report should contain is the date. A construction report should contain the weather conditions of that specific day, as well as the outside temperature, the wind speed, etc. Other than the weather conditions, it is important to write about the physical conditions of the construction site. 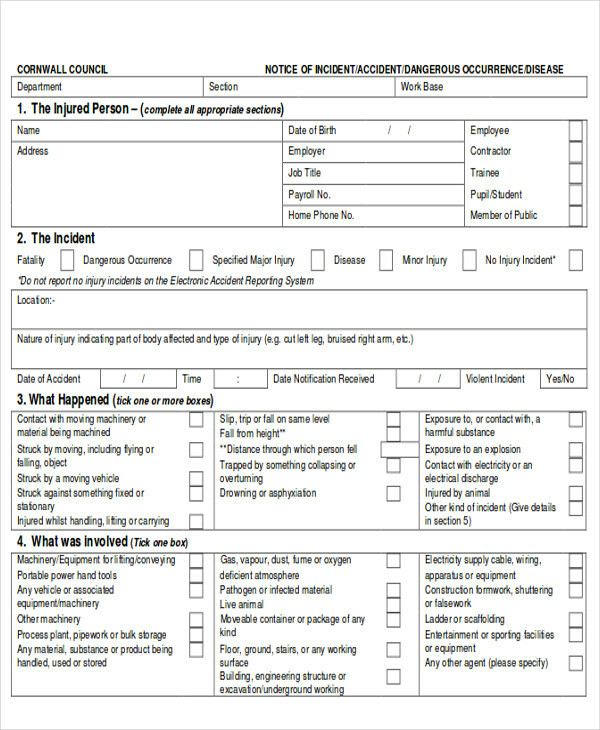 It is important to always remember to write down the resources available on that certain day, such as the construction staff, equipment available, site visitors, etc. The work done and the material delivered and received on the construction site. 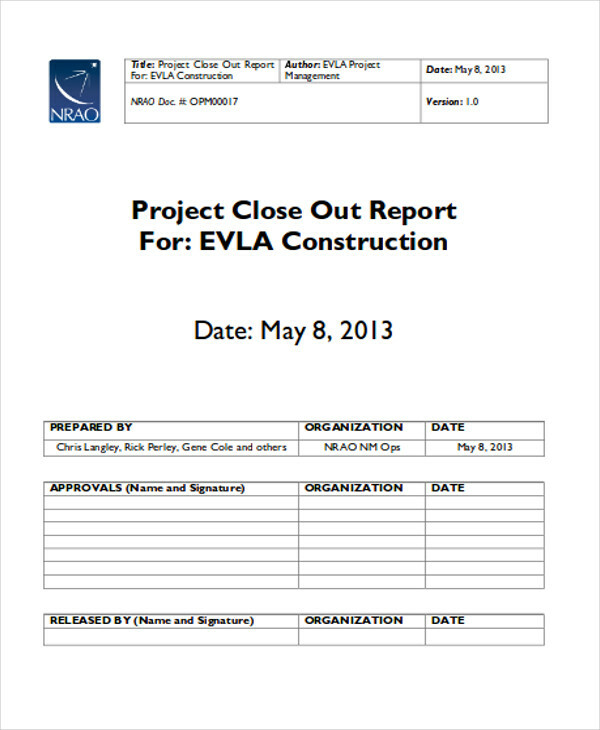 A construction report is one of the most important documents in a construction site. These reports will determine the success of a construction project and are also essential for legal purposes. With the help of these construction reports, you will be able to track and monitor the status of a construction project on a daily basis. This is to ensure that all areas are doing their individual tasks and responsibilities. 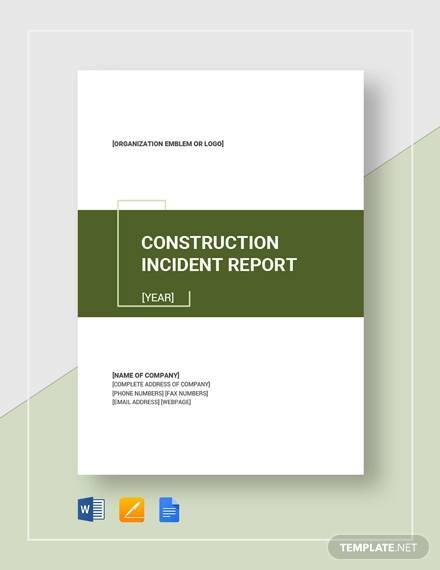 A construction report can also be used as a warning for the different safety risks and problems found in a construction site. 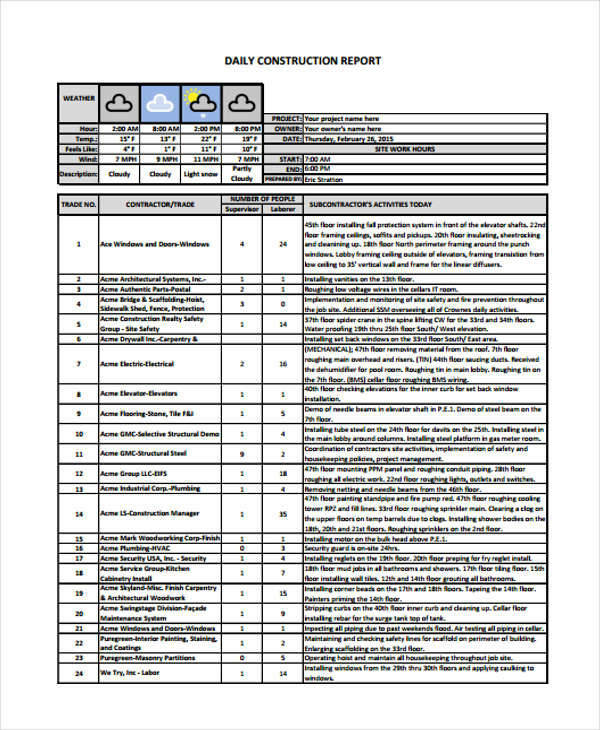 Also, our Daily Reports are available for you to download. Financial statements are important documents to help you understand the health of a company. This is to ensure a company is still financially capable to sustain a certain project. 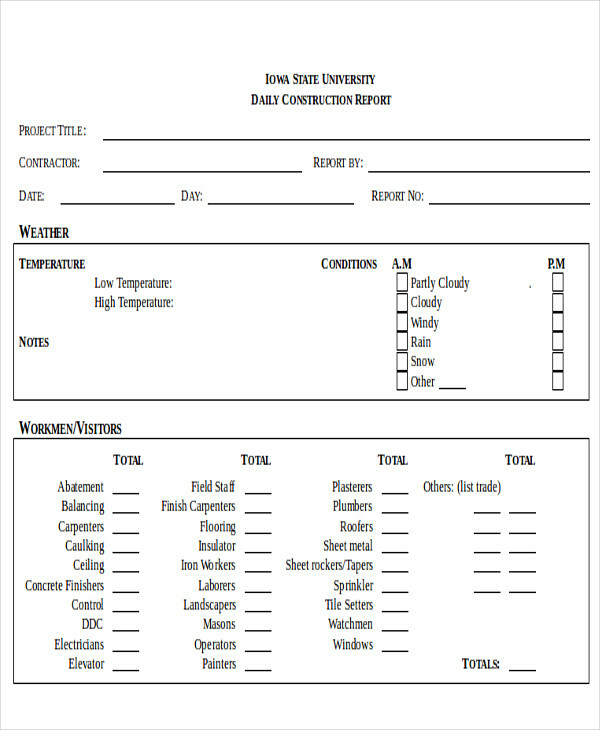 Drill down reports are construction reports that help you analyze numbers and data. 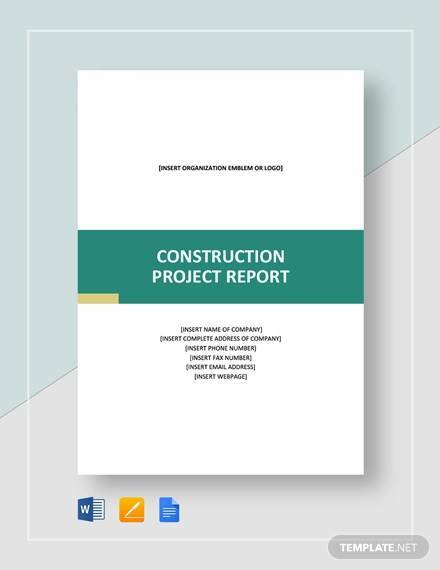 This type of report helps you answer questions about the project’s account receivables, project costs, project budget, etc. 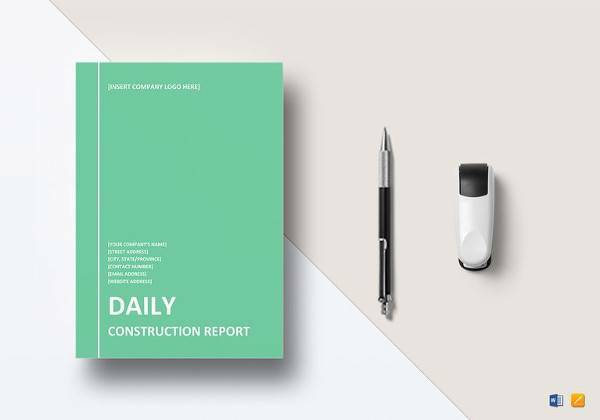 Key performance indicators are useful reports to determine if the goals of a construction site are met and to check the progress of the project. 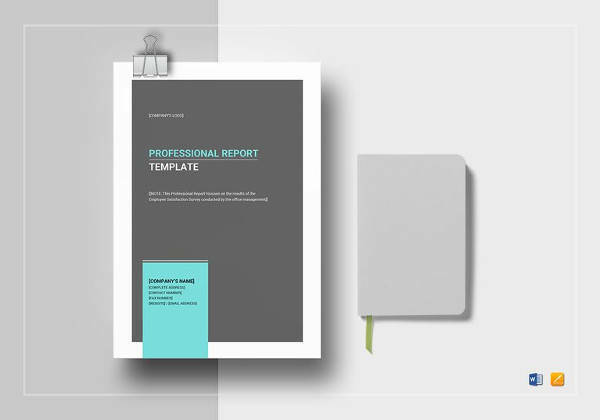 Construction reports are vital in the success of construction projects. 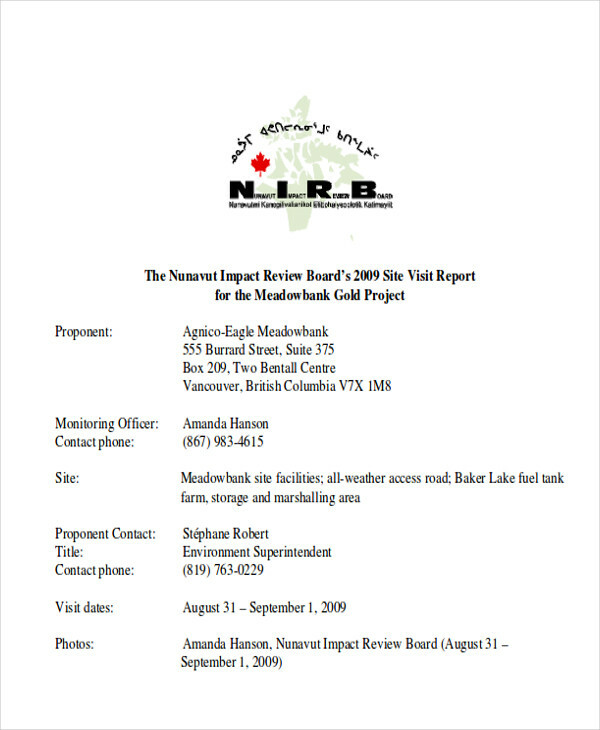 These are also important documents needed for the legality of a project and to ensure that this is running smoothly. 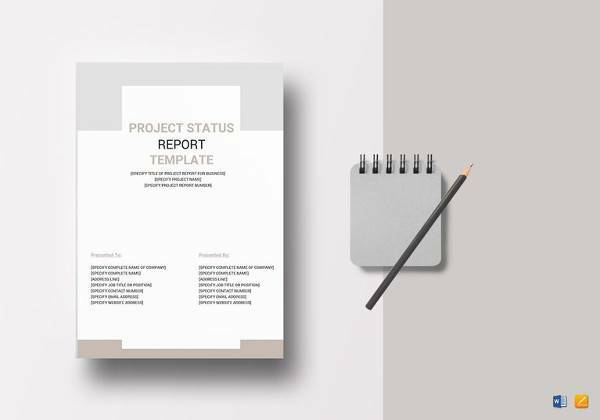 If you want to write about the status of a specific project, our Project Status Reports will be useful to you. These are all available for you to download.